If nestled under a cozy blanket by the stone fireplace in your rustic log home is what you are looking for, look no further. This deceivingly large home has more than meets the eye. Enter through the large covered porch into the living room with an open floor plan and stone fireplace. Open country kitchen is perfect for entertaining with a spacious island, tile counters and ample storage. Enter through the French door into the modern family room with access to the backyard/pool. A bright sunny office, a walk-in pantry/mudroom and a half bath complete the first level. The 2nd story offers 3 large bedrooms including a master suite with multiple closets, space for a nursery and full bath. Finished basement with a bathroom, man cave and craft room. 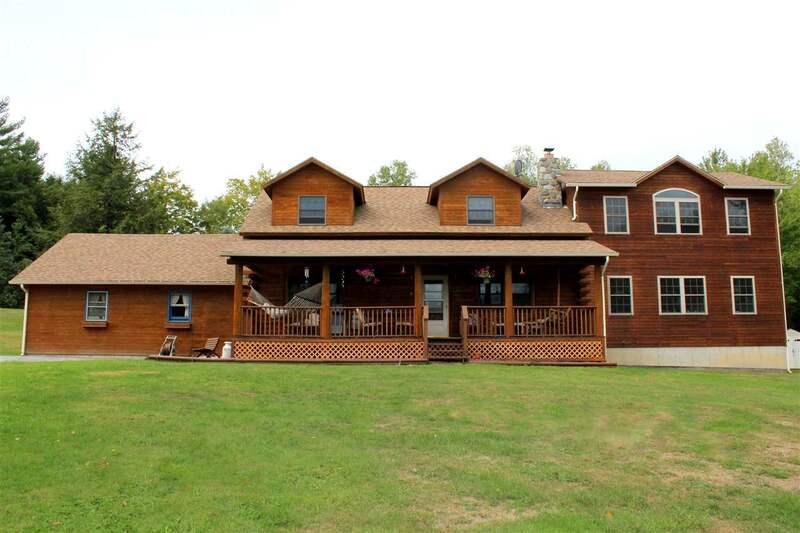 Don't under estimate the possibilities with this wonderful Vermont picturesque property situated perfectly to capture the view of the beaver pond, but still only 10 minutes to I-89!